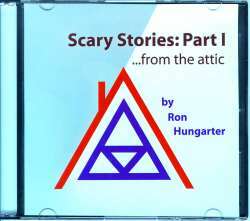 Scary Stories, Part I, From the Attic - CD-ROM - Inspector, Expert Witness...Real Estate Inspector, Construction Expert"
Larksville, PA, USA - Ron Hungarter Associates, Inc. announces the release of their new CD-ROM, entitled “Scary Stories: Part I, from the attic”, written in an effort to help homeowners, contractors and insurance companies cope with mother nature. When winter rears its ugly side, with heavy snow, and radically varying temperatures, homes begin to experience ice dams resulting in interior water leakage and damage, often extensive and expensive, and very often unstoppable as it is happening. This is a very helpless and frustrating feeling for homeowners. Are ice dams, resultant leakage, and their damage avoidable? Not always! “Scary Stories: Part I, from the attic” attempts to address ice dams, prevalent in homes, new and old, inexpensive to very expensive, and in world-wide geographic areas sustaining snow fall. Unfortunately, people who live outside the snow belt think issues resulting in ice dams are not their problem. They are wrong! In warmer climates, mold becomes an issue, caused by some of the same deficiencies that cause ice dams. The information and photographic documentation contained on this CD will help homeowners to determine the ultimate healthiness of their home, and was written from the perspective of one inspector explaining to another inspector, what to look for when inspecting the general attic area. However, one does not have to be a trained inspector or construction expert to understand the principals on this CD, which discusses ventilation and insulation, in an ongoing attempt to rid homes of these potentially very serious environmental and health problems. Part I is the first in a series of CDs compiled from Mr. Hungarter’s nationally published articles written on various topics of the home, in an attempt to help suffering and frustrated homeowners resolve their construction and environmental problems. 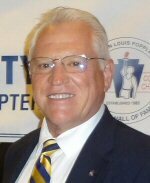 Roy Cooke, Sr., a Certified Home Inspector and member of PACHI (Provincial Association of Certified Home Inspectors), Canada stated: "The CD is great. If you make another, please put me down. I think all new inspectors should have a copy." Click Here to Order. $14.99 plus $6 S&H. Note: This CD is a power point presentation which is also written in html language and can also be opened and viewed by your web browser program, if you do not have power point.